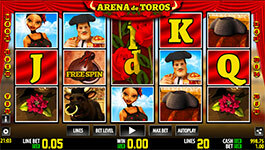 Run with the bulls and win the competition in the all new Arena de Toros slot machine from World Match! 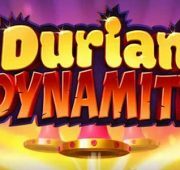 This sumptuous slot machine has 5-reels and 3-rows for 20-paylines of fast action that will make you feel the thrill of the most magnificent corrida. Is the toreador fighting to defeat the bull, or to win the heart of the beautiful bailaora? For sure during the Bonus Game she will reward him with a passionate kiss and when this happens, you will get additional winnings. Additional features include Free Spins, Wilds and Stacked Wilds to further enhance the game experience and double the fun. The backdrop for this game sees you in the bull ring with the matador, and the bright red screams toro to start the action. On the reels you’ll find symbols that include a flower, the bailaora, the matador, the bull, card symbols 10 through ace, stacked wild roses, a free spin symbol and the bonus lips! The Mexican themed music is also present and perfect to get the heart racing, in the exciting Arena de Toros! 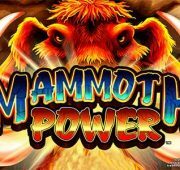 FREE SPIN: Land three or more Free Spins symbols on the reels in any position win 10 free spins. 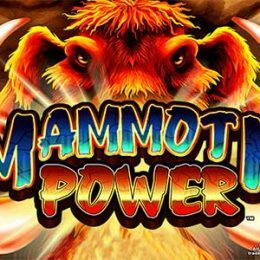 During free spins all prizes are doubled with a 2x multiplier. 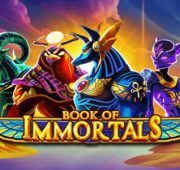 Free Spins are played at the same number of lines and bet per line as the triggering game. STACKED WILD: The Roses are the stacked wild symbol and expand to fill the entire reel while substituting for symbols except the Bonus Game Free Spin to complete winning combinations when possible. BONUS GAME:Land three or more Bonus Lips symbols on the reels in any position to activate the bonus game. The brave bullfighter receives a kiss of good fortune from his beloved girlfriend. The more intense is the kiss, the higher premium is paid. Run with the bulls and win the competition in the all new Arena de Toros slot machine from World Match! 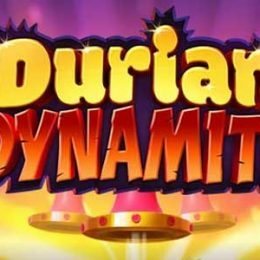 This sumptuous slot machine has 5-reels and 3-rows for 20-paylines of fast action that will make you feel the thrill of the most magnificent corrida. Is the toreador fighting to defeat the bull, or to win the heart of the beautiful bailaora? For sure during the Bonus Game she will reward him with a passionate kiss and when this happens, you will get additional winnings. 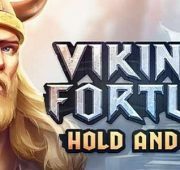 Additional features include Free Spins, Wilds and Stacked Wilds to further enhance the game experience and double the fun.